Kingsbury has supplied thousands of bearings for high speed/high load gas and steam turbine applications. 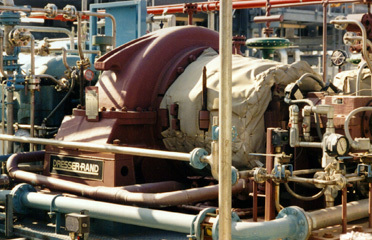 In the early 1980s, gas turbine bearing and steam turbine applications began pushing the safe operating limits of flooded tilting pad hydrodynamic bearings. Shaft speeds and loads had increased to the point that bearing surface temperatures and associated power losses were of concern in the design of larger, faster, more efficient turbines. In response to the demands of our market, Kingsbury developed Leading Edge Groove (LEG™) lubrication for both thrust and journal bearing applications. This design provides superior bearing performance while simultaneously reducing oil flow requirements, which translates into higher turbine efficiency. Kingsbury uses laboratory test data as well as real-time application data in order to provide bearing performance calculations that are the most accurate in the industry. Kingsbury's ability to predict operating performance allows us to select the right bearing for every application, and to provide the right fix or upgrade for any problems you are experiencing with your current bearings. 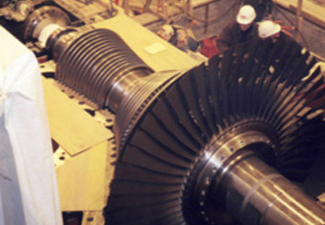 There are other advantages to Kingsbury bearings: we maintain a large inventory of standard parts for gas and steam turbine installations. 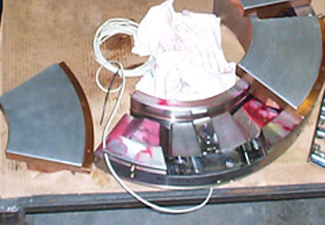 We offer ultrasonic and dye penetrant testing on new items and perform 100% inspection of bond integrity on repaired thrust and journal bearings. Finally, Kingsbury can provide instrumentation to allow you to monitor bearing performance, including thermocouples, RTDs, bayonet probes, load cells, axial displacement probes and vibration sensors. 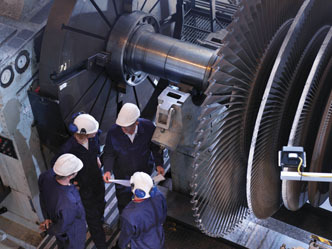 The LEG™ bearing enjoys a well-established reputation in the power generation industry through installation in literally thousands of gas or steam turbines, both as retrofits as well as new machines. Ask us to evaluate your application to see if we can offer you better results with a Kingsbury LEG turbine bearing retrofit. For Gas and Steam Turbine Bearings Repair, Retrofit, or Replacement, visit the Bearing Services page. 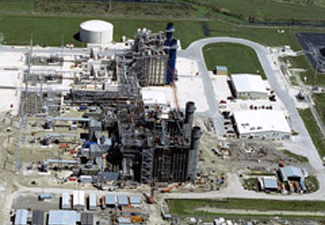 Kingsbury has provided hundreds of thousands of bearings world-wide for steam turbine, gas turbine, compressors, electric motors, pumps, blowers and additional equipment for a variety of steam and gas-turbine power plants. For new bearings, repairs, upgrades, or to obtain expert technical support for your critical plant bearings, you can always count on Kingsbury. We are as committed as you are to keeping your machinery up and running smoothly. Kingsbury maintains a robust inventory of standard stock bearing parts utilized in a variety of boiler feedwater pumps. 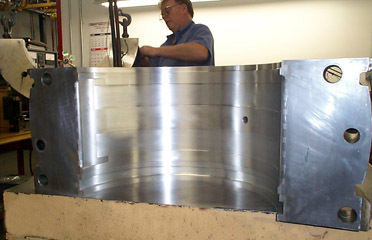 In this photo, the thrust collar for a double-acting Kingsbury standard six-shoe "J" bearing is being inspected prior to assembly. Full ultrasonic and dye penetrant testing capabilities. 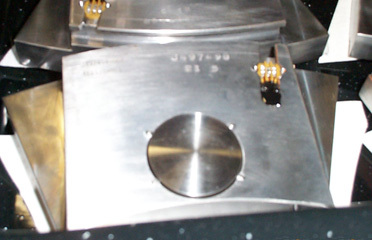 Kingsbury peforms 100% inspection of bond integrity on repaired thrust and journal bearings. Kingsbury can provide instrumentation to allow you to monitor bearing performance, including thermocouples, RTDs, bayonet probes, load cells, axial position probes, transducers, etc. 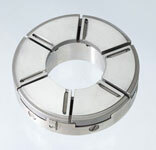 Kingsbury manufactures and repairs all types of babbitted journal bearing sleeves, shells, and guide bearings. Kingsbury works to its own exacting standards, which satisfy Mil-Spec and Nuclear requirements and a variety of customer and industry specifications. 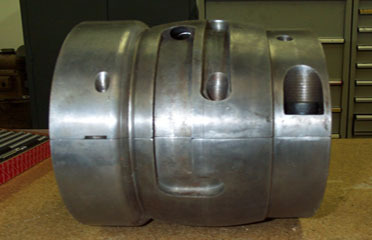 Kingsbury provides bearings and services for the driven equipment (compressors, generators, etc.) as well as the drivers (steam turbine, gas turbine, motor). 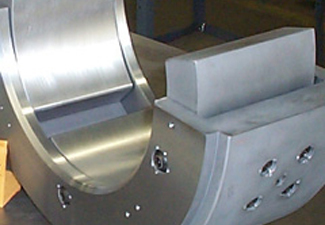 Let Kingsbury optimize your equipment with high-efficiency Leading Edge Groove (LEG) bearings, reducing oil flow and power loss while increasing load capacity. Or send your entire train of bearings to Kingsbury for a free evaluation for repair, refurbishment, or replacement. 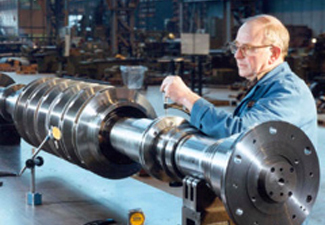 Kingsbury has been the preferred supplier for Steam Turbine thrust and journal bearing manufacturers for over 75 years. 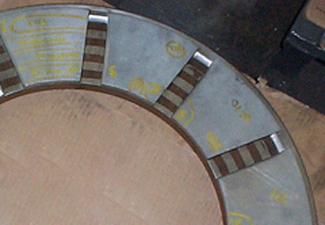 High-speed, high-load bearings operating temperatures can be reduced and load capacity increased by drop-in replacement of thrust or journal pads with babbitted chrome-copper shoes instead of the standard babbitted steel shoes. Kingsbury has provided thrust and journal bearings for a century to all of the main players in the power equipment manufacturing market. 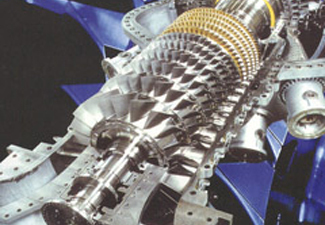 Kingsbury provides journal bearings for steam turbine and gas turbine applications, from large, low speed units utilizing plain cylindrical shells, to large, tilt-pad bearings with high-pressure lift and special directed lubrication features. Kingsbury test data and theoretical performance calculations are combined to provide performance prediction codes that are the most accurate in the industry. Kingsbury's ability to predict operating performance allows us to select the right bearing for every application, and to provide the right fix or upgrade for any problems you are experiencing with your current bearings.